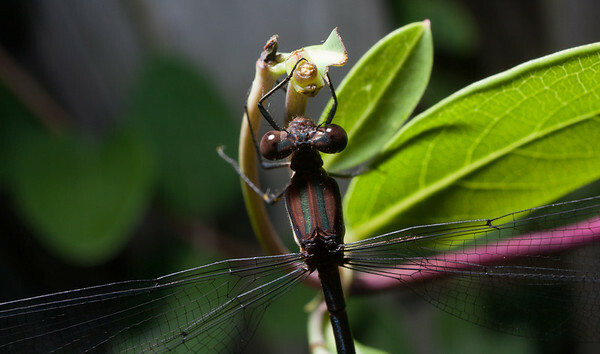 Spread-winged damselfly. Early in the morning before it had warmed up enough to fly away. Extension tube and off-camera flash.